Below is the rush transcript for "This Week" on February 9, 2014 and it may contain errors. RADDATZ: Welcome to This Week. Olympics on edge -- new security fears with the games now underway. This morning, we're on the ground in Sochi with all the breaking details and our panel of experts on the unprecedented operation to keep our athletes safe. REP. JOHN BOEHNER, (R) OHIO: The president is going to have to demonstrate to the American people that he can be trusted. RADDATZ: Speaker Boehner's sudden shift on immigration and a stunning new report on Obamacare. The powerhouse roundtable breaks it all down. UNIDENTIFIED MALE: We do begin with the tragic death of actor Philip Seymour Hoffman. RADDATZ: A Hollywood stars shocking death. Is heroin America's new hidden crisis? RADDATZ: Hello again, I'm Martha Raddatz. This morning, we're New York City in the GMA studios. You see Times Square behind me because this city knows better than any in the world how to protect against the kinds of threats facing Sochi, host of the Olympic games. It's the first Olympics in history that terrorists have publicly vowed to attack. Former New York police commissioner Ray Kelly, Brian Ross and our panel of experts will be along in a moment, but we begin in Sochi where the first weekend of competition is underway. There you see the medal count. The U.S. just behind Norway in the early going. Here's ABC's Matt Gutman. MATT GUTMAN, ABC NEWS CORRESPONDENT: A second gold minted for the U.S. Snowboarder Jamie Anderson spinning, soaring in women's slopestyle final, completing a U.S. sweep in the daredevil event with Sage Kotsenburg taking the game's first gold Saturday. And thousands of Americans here to cheer their athletes on. Finding the Americans not so easy. Swarming here, tens of thousands of security personnel from the choppers slaloming in the sky over the opening ceremonies to the purple brigades of plain clothes security in these ski getups and forcing strict security protocols. Right now, we left the venue. We tried to bring some American families out to talk to them, but they forbade us from doing so. These guys are extremely strict. The start of these games beset by controversy with anti-gay protesters arrested in Moscow and in St. Petersburg over the weekend. But perhaps the most glaring snafu, during the showcase moment in the opening ceremonies with President Putin presiding. Those five descending snowflakes were supposed to melt into Olympics rings, but the fifth one on the right malfunctioned. It's among a blizzard of pictures depicting some hazardous hospitality here from faulty door handles to beer colored water or the bee in my honey packet. And then there was this -- bobsledder Johnny Quinn's solution to a jammed bathroom door, bursting right through right. We watch, because we always do. Except this time with pictures so prodigious and the sentiment so viral we're getting more than just the official view. For This Week, Matt Gutman, ABC News, Sochi. RADDATZ: All right, thanks to Matt. Let's bring in USA Today's Christine Brennan, also an ABC News contributor who has covered 16 Olympics and she's joining us live from Sochi this morning. I want to start with those fabulous opening ceremonies. It looked fantastic. And just give us a sense of the mood here, how the athletes are feeling, how it's going over there, how the crowds are. CHRISTINE BRENNAN, USA TODAY: You know, Martha, I'm an American like so many of us as we thought about this, family and friends asking should you go. The concerns, obviously as a journalist of course I was going. And I'm here now. I've been here almost a week. And I have to tell you that security concerns are not front and center in my mind and really have not been since I landed. And I know that might sound surprising to people, but for example the opening ceremonies. That certainly was the three hour time period where we were concerned and thought if there's something that could happen, it could happen here. And to talk about a snowflake malfunction being the big glitch and the only thing, the only news that happened from that opening ceremonies, that would have been unthinkable even a few months ago. And I think that's the mood here, that things are going pretty well. RADDATZ: Let's talk about those handful of protesters that Matt mentioned, the gay rights demonstrators. Are larger protests expected? Can Putin just kind of forget about this at this point? BRENNAN: Oh, I don't think he can. I think this is one of the key story lines of the games. Even as sports has started, the events have started, Martha, this story is pervasive. And I know it's front and center in my mind, you know, that we will continue to keep an eye on it. And as far as the protests, we don't see them. We're in the Olympic ring, you know, the secure area, but we know they're going on. And I'm guessing there will be more. Interestingly enough, keep an eye on the U.S. athletes. Ashley Wagner, the American figure skater, when we asked her the other day she spoke out about equality and about -- and against Putin's anti-gay law. And of course Brian Boitano and Caitlin Cahow, two members of the Olympic delegation, they also spoke, they landed in Russia and immediately talked about their concerns about the law. RADDATZ: Christine, just very briefly, I want to go back to security for a moment. You said you really didn't see much of a presence when you got there. They weren't checking your badges. Is it the same now, or do you feel a little more tension? BRENNAN: They certainly are checking our badges, I want to make that clear. Our credentials are always scanned, but in terms of what we are used to in U.S. and big events, Martha, you know, with a show of force, guns, rifles. You know, you see them everywhere at major sporting events, nothing here. I've been here six days, I still have not seen a gun. But I'm not saying that it doesn't mean it's not secure, it's just a different kind of security. I found that surprising. But again, as I said, I do feel very secure here. RADDATZ: IT is sort of a hidden security there. Thanks, Christine, so much. There are many security fears in Sochi, especially after that dramatic scare in the skies right as the opening ceremonies kicked off. ABC's chief investigative correspondent Brian Ross here with us. Some new details on what appeared to be an airplane hijacking. And you also have some developments this morning just happening overnight. BRIAN ROSS, ABC NEWS CORRESPONDENT: That's right. And good morning, Martha. Russian officials are telling ABC News this morning that police have killed five suspected terrorists after a standoff in the capital of Dagestan all connected, they say, to previous suicide bomb attacks. As for that attempted hijacking, it all unfolded just as the opening ceremonies were getting underway. And at least for a short time, it has certain echoes of the 9/11 terror attacks on New York and Washington. ROSS: High drama surrounding the incident, underscoring ongoing concerns about Olympic security. Turkish jet fighters had been scrambled. And once the passenger landed in Istanbul, a police SWAT team sneaked on board. Authorities identified the foiled hijacker as a 45-year-old Ukrainian man who, they said, broke into the cockpit, claimed to have a bomb and demanded the release of prisoners in Ukraine. No bomb was found and the quick thinking flight crew tricked the hijacker into thinking the jet had landed in Sochi as he had demanded. But what if it had been a successful terror hijacking with a plane heading for Sochi? The opening ceremonies had just begun when the first reports came of the hijacking in progress. Russian helicopters patrolled the airspace over the Olympic Village. And anti-aircraft missile batteries in the mountains above Sochi were ready to shoot down the passenger jet if necessary. UNIDENTIFIED MALE: Clearly if an aircraft is heading for ground target, it's totally plausible to think that someone might be given the order to fire to take down a commercial plane. ROSS: The air scare came just days after U.S. authorities warned of a possible plot to explode a bomb on a jetliner heading into Sochi. Law enforcement officials say terrorists may have found a way to assemble a small bomb on board an aircraft using explosives packed into toothpaste tubes, which this week were banned in carry on luggage for flights to Russia. Officials told ABC News the plot may also involved tiny detonators obtained from Islamist fighters in Syria. UNIDENTIFIED MALE: The effort to put a bomb on an airplane in and around Sochi is an ongoing concern right now that Russian intelligence agencies are looking very closely at. ROSS: In the end, the weekend of the Olympics has gone off without a hitch, but authorities say it is far too soon to let down their guard for the Islamist terrorists who have threatened to disrupt these games. For this week, Brian Ross, ABC News, New York. RADDATZ: Our thanks to Brian. Let's bring in Congressman Mike Rogers, chair of the House intelligence committee. Right now he joins us from London. We saw that security scare Friday in Brian's report. And we know there is still an ongoing concern despite the fact that it may feel OK there right now. You get intelligence briefs, intelligence notifications every day. What should we be concerned about right now? REP. MIKE ROGERS, (R) MICHIGAN: Yeah, first of all the guards, gates and guns portion of this is really unparalleled for an Olympic games. So the Russians have been very good about that physical security presence, an outer ring and they've had inner rings of security so that what your reporter was discussing is the closest proximity. So you won't see the big guards, gates and guns, that gets pushed out. The other part that I think they've done well is aggressive counterterrorism operations. And I think Brian Ross talked about that earlier. They are aggressively pursuing leads that they have, some include kicking in doors and taking people down in the way that they did in Dagestan. That is a preemptive counterterrorism strike to try to secure the games. Internationally, the intelligence is as never as good as I've seen it -- or is as good as I've seen it, excuse me. So the -- you know, the Brits are working with the French who are working with the United States and everyone in between to try to find those pieces of intelligence that might help protect the Games. Though one last weakness -- and this was the tension between Russia and the United States, was that internal sharing of intelligence that we believe would be important. RADDATZ: You know, a few weeks ago we saw those reports about the so-called black widow suicide bombers. Those women have not been found. How big a threat is that now to those Games or outside those Games? ROGERS: Well, you have to -- you have to take them at face value. They have had successful events. They blew up a -- a train station and two buses within the months leading up to the event. Uh, we know that there are individuals that fit those descriptions who have the capability to actually pull off the event. That's what makes it to serious and so dangerous. So it is something that they're -- they're looking for, they're trying to use every piece of intelligence they have external to Russia. They're kind of going on their own internal to Russia. Uh, and we can only hope that they'll find those individuals before they're able to penetrate any of the rings. And I don't believe that the terrorists think they have to have a venue event, a terrorist attack on a particular venue. They just have to have some disruptive event somewhere. And that's what, I think, makes them more dangerous than the folks that believe they have to have some big event at a venue. RADDATZ: Well, I -- I think we heard this week the head of the National Counterterrorism Center, Matt Olsen, said there is, quote, "a substantial potential for a terrorist attack outside the venue at the Olympics." Is that where you're focusing? ROGERS: Well, clearly. And, again, I think there were, you know, again, lots of physical presence there. And I think they're going to try to find the weakest point that they can find. And it may be outside one of those rings of security. So that's, obviously, our concern. It's the soft -- the softest part of the security -- security part. RADDATZ: And -- and just quickly here, if there is an incident, do you believe the United States is prepared to evacuate the athletes? ROGERS: I think, uh, all the preparation that can be done to protect our athletes, from a United States perspective, is there. And it's exceptionally well done. So I believe that if there is any event that would lead to the -- the, uh, evacuation of our athletes, that in fact, would happen, and would happen orderly and in -- in good order. Again, we -- we were hoping that the Russians would share more internal information on security threats so the operation in Dagestan is a great example. That obviously had some nexus to the Games. It would have been helpful, I think, if we had a full and robust relationship, that we could have shared that kind of information, so we could have compared it to information that we get from all of our, uh, intelligence partners around the world. Now for more analysis, our trio of security experts. 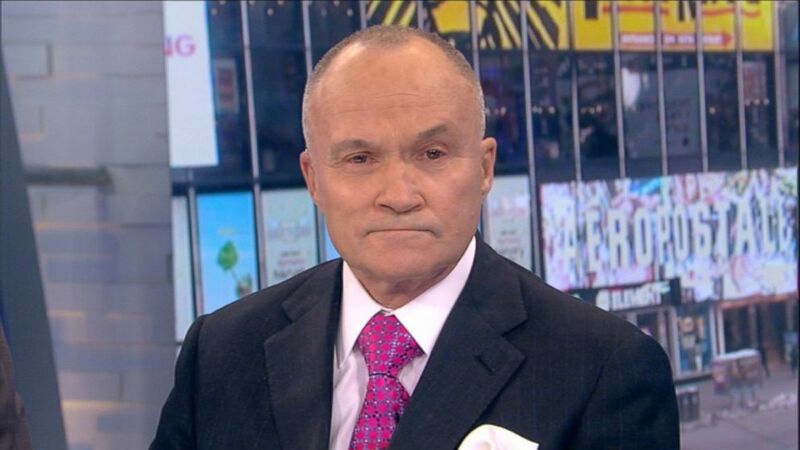 We're thrilled to have Ray Kelly, former commissioner of the New York Police Department, who just left the NYPD as the longest serving commissioner in its history; our senior justice correspondent, Pierre Thomas; and Colonel Steve Ganyard is an ABC News and a former Marine Corps commander and State Department official. Ray Kelly, I want to start with you. You've prepared New York City for so many events -- Times Square at New Year's, huge security challenges, the last attempted bombing, the Times Square bombing. When you see what's happening in Sochi, what lessons can you provide on how you would do it, what you would do differently or what they're doing now that you think is working? KELLY: Well, so far, so good. Uh, it looks like they've done detailed planning. Obviously, the Russians have had seven years to -- to plan for this. But I would suspect that right now, they're still adjusting that plan, because it's a dynamic process. The intelligence assessment, of course, is -- is very important here. And that drives a lot of what you do, as far as the planning is concerned. And we know that the major threat is from these -- these, uh, Muslim terrorists who are in the North Caucasus republics. Uh, and we have Dokka Umarov, who is this individual who's threatened to upset the -- the -- the Games. So it looks to me like they've done everything that they can do. They devoted probably as many as 100,000 people. The -- the numbers are, uh, and run anywhere from 40,000 to 100,000. But I just kind of think it's on the upper side. RADDATZ: Can they -- can they prevent an attack, do you believe? RADDATZ: They sure are. We hear a lot of stories about that. KELLY: But we know that. Right. So I -- I think they're doing everything that -- that they think they can do. RADDATZ: Peter, I want to ask you about this ring of steel. We -- we see a map. It looks a little more like a rectangle of steel to me. Is -- is it a combination of barriers, guards, what? PIERRE THOMAS, ABC NEWS CORRESPONDENT: Exactly. It's 1,500 miles, a combination of barbed wire fence, as Ray said, 50,000 to 100,000 security personnel, but, also surveillance cameras, surveillance drones. They also have gunboats in the Black Sea. So they're prepared, at least on the outer ring, for anything to block it from getting through. And, again, the concern is Islamic fundamentalists trying to get into the Olympic venues. RADDATZ: Steve Ganyard, I -- I asked -- I asked the congressman about this, and evacuating Americans. You've worked in disaster relief in your Marine Corps career, running several exercises for earthquakes and other kinds of -- even terrorist attacks. Are you confident we could get those athletes out of there quickly? STEVE GANYARD, ABC NEWS SECURITY CONSULTANT: I'm not confident. One of the things I think we -- was -- was most disturbing to the U.S. government is when the U.S. Embassy ran a simulation back in December and said what if they're unable to prevent a terrorist attack? How will the Russians deal with that? And the Embassy got quite nervous, because they found huge deficiencies in the Russian ability to do medical, to do evacuations, to have communications, to do interoperability. RADDATZ: -- in the Black Sea. We have C-17s standing by in Germany. Can those ships not help? Can those airplanes not help if there's an evacuation? GANYARD: It's really a token force. The kinds of ships that we have, the two ships we have, we have a small frigate that may have one helicopter on board that's designed for anti-submarine. It's not designed for rescue. It's not designed for medical evacuation. We have a command and control ship that's very capable. You can run an evacuation. But it's not, per se, a war ship. We do have the C-17s up at Ramstein in Germany that could be there within six hours. But think about what it would entail. If we had a helicopter one of those -- one of those ships and they tried to get into Sochi after something happens, who's going to get them in through the anti-aircraft batteries? Who's going to get them on the ground? RADDATZ: Just very quickly, Steve, are there things going on that we don't know about? GANYARD: I'm sure there are, but it doesn't mean that they're going to be successful. We have been blocked and stopped by the Russians at every attempt to coordinate any kind of prior response. You can't just go in and if -- if something happens, be handing out business cards when it happens. RADDATZ: Pierre, the concerns about sharing intelligence that the congressman also talked about, the Russians just aren't giving up much. PIERRE THOMAS, ABC NEWS CORRESPONDENT: Well, I talked to a senior official in law enforcement last night who said, you know, it's their house and that we have to play by their rules. Uh, the official said, think about Salt Lake City. If something were to happen in Salt Lake City, we weren't going to allow a bunch of Russians running around with weapons to do anything. So, he said, we're getting some information, not as much as they would like. But the key, he said, is this prickly issue of sources and methods. They don't want us to know how they're getting their information and we don't know -- necessarily want them to know how we're getting our information. So that is part of the problem. RADDATZ: Ray Kelly, I -- I want to talk about letting our guard down. You heard Christine Brennan. Everything is going so well now. You've seen so many terror alerts. You've tried to keep a city vigilant. How do you make sure they don't take for granted that things are going well? KELLY: Yes, I think there is a concern in that regard. The Olympics go until February 23rd. That's a long way off. Actually, there's Paralympics that go into -- into March. So, yes, the adrenaline is following now, the first few days. But the attack in 1972, at the Munich Olympics, didn't happen until nine days into the Olympics. RADDATZ: And that's when the terrorists would strike, during the fatigue factor. KELLY: That's right. Yes. But you have to rotate people. You have to make certain that their energy level is up. But we had 12 hour work shifts here, you know, when there's a big event. And it's very debilitating. So it's something that the Russians have to look at closely. And you need your leadership to keep people on guard and keep them alert. RADDATZ: And -- and what scares you now most is that attack outside of the venue? KELLY: Yes, I think that's the consensus of the intelligence community, that the Sochi area is pretty well locked down, and if anything happens, it's going to happen away from Sochi. RADDATZ: OK. Thank you so much, gentlemen, for joining us this morning. Much more ahead here in New York, but let's turn it over to Jonathan Karl in Washington with more on a big week in politics -- Jon. JONATHAN KARL, HOST: Thanks, Martha. That's right, coming up, what a week. And our powerhouse roundtable is ready to take it on, including John Boehner's quick flip on immigration. Plus, will President Obama hurt Democrats in November? And later, a Hollywood star's death shining a light on what some warn is America's hidden heroin crisis. Dr. Besser is here with an urgent warning. KARL: The roundtable is ready to go. Back in just over a minute. CLAY AIKEN: And you only know the part of my story that begins with the golden ticket, something that still seems unbelievable to me even to this day. You might wonder what would qualify me to run. I'm not a politician. I don't ever want to be one. But I do want to help bring back, at least to my corner of North Carolina, the idea that someone can go to Washington to represent all the people. KARL: We have two members of congress here who have never made the cut on American Idol, but they've got the golden ticket to our roundtable. And lots to talk about today, including a surprise this morning -- did the Republicans favorite general just endorse Hillary Clinton? But first the week's biggest political development, House Speaker John Boehner puts the breaks on immigration reform. Here's ABC's Jeff Zeleny. JEFF ZELENY, ABC NEWS CORRESPONDENT: What a difference a week makes for immigration reform. BOEHNER: It was time for the congress and the president to deal with this very important issue. BOEHNER: Listen, there's widespread doubt about whether this administration can be trusted to enforce our laws. And it's going to be difficult to move any immigration legislation until that changes. ZELENY: Speaker John Boehner backing down. His fellow Republicans say the election year focus should stay on criticizing President Obama's still controversial health care law. UNIDENTIFIED MALE: We need to make sure that we have a strong growing economy. And we need to deal with this health care situation I think before we really wade in deep on immigration. ZELENY: Perhaps it was doomed from this moment. BARACK OBAMA, PRESIDENT OF THE UNITED STATES: So let's get immigration reform done this year. ZELENY: President Obama saying 2014 is the year to act. There's little question public sentiment is slowly moving toward reform. But several Republicans say why now? UNIDENTIFIED FEMALE: The energy behind doing something is coming from the president. We've got to steer our own course in the House majority about things that are important to us. ZELENY: Even before Boehner threw in the towel, the writing was on the wall. Minority Leader Mitch McConnell fixated on winning control of the Senate, washing his hands of the issue Tuesday. SEN. MITCH MCCONNELL, (R) KENTUCKY: I think we have a sort of an irresolvable conflict here. ZELENY: A conflict the party may avoid, but not for long. KARL: All right, and Jeff joins the roundtable now along with Oklahoma Republican congressman Tom Cole, Minnesota Democratic Congressman Keith Ellison, former White House senior advisor David Plouffe and the co-host of CNN's Crossfire S.E. Cupp. Congressman Cole, I want to start with you, what happened? I mean, less than two weeks ago Speaker Boehner is releasing a statement of princples, talking optimistic about immigration reform and now suddenly what? What happened? REP. TOM COLE, (R) OKLAHOMA: Well, I think actually probably people overread both of those incidents. That is, we've begun the dialogue and a conversation inside the Republican conference on this. I think that's good. I think step by step progress is still out there, whether or not Democrats want to work that way I think is unclear, but you could clearly get a border security bill through. I think you can get HB1 (sic) visa's through. I think you could get seasonal labor through. So I think there's still a path there, but I think that's recognizing political reality, there's a lot of division on the issue. KARL: But can we acknowledge that this excuse that the speaker used that it's the president and you know Republicans can't trust him, can we acknowledge that that was a pretty lame excuse? This was really about -- this was about opposition within the Republican conference. COLE: No, look. I was at the conference where this was discussed. And I will tell you there is a great deal of skepticism and concern. The president changed on immigration before. He said something -- what he wanted to do was unconstitutional, a year later he did it. We've seen him change the health care act repeatedly in ways we think are outside the pale. So I -- no, I think they're real. KARL: ...the last two weeks, though. COLE: Well, no, it's not. But you remember that's a draft statement, not a statement of principles from the conference. REP. KEITH ELLISON, (D) MINNESOTA: The president has led a government has been deporting people 1,100 a day. It's -- I mean, there's no doubt the president was told if he works on the border the Republican caucus will work with him on passing a bill. He's done his part. They've failed to do their part. And it's obvious the speaker got a lot of pushback from somebody within his caucus who has to listen to. And so he changed course. I don't think it's political courage. And I was really disappointed. KARL: Jeff, you think it's -- you think it's dead? ZELENY: I think it is for now. It's certainly on the back burner. But one thing is totally different than it was a year ago. People aren't saying no, they're saying not now. I mean, having conversations with rank and file Republicans on the Hill, the opposition is not nearly as strong as it was a year ago. But central thing is why do we want to do this now? Why do we want to sort of split ourselves here. We're doing so well. This is such a banner year for Republicans. So I think the opposition is still there, but there's a realization that at some point this is going to happen. But one thing -- maybe after these primaries. A lot of Republicans face primary opponents, perhaps the summary will start. But for the year 2014, I think it's pretty unlikely that much will get done this year. S.E. CUPP, CROSSFIRE: Yeah, I mean, part of this is strategy. I think a lot of Republicans think let's not anger too many other Republicans before 2014. The idea being we'll win the House, we'll win the Senate in 2014, have a Republican majority, pass immigration reform that we can call Republican. KARL: Signed by a Democratic president. CUPP: Well, sure, but -- of course he would have to. But I think -- I think the other part of this that you eluded to is real disappointment in the president. I think when he came out in the State of the Union and more than a dozen times told Congress he'd work around them, that really struck a sort of anachronistic tone. Congress had in the past two months just come together on a bipartisan budget deal, a farm bill and real progress on immigration reform. And I think they wanted some recognition for that, not a president who was going to kind of ignore it and say do it or else. They've been working together. I think they wanted some recognition. KARL: But David, I want to bring up something that Congressman Ellison mentioned, the deportations. We put together the stats here. It's really quite remarkable. President Obama is deporting -- do we have that graphic -- President Obama is deporting far greater -- in far greater numbers than President Bush did. So what -- what gives? Does that need to be slowed down? I mean, he's getting a lot of heat from the left on this. DAVID PLOUFFE, FRM. WHITE HOUSE ADVISER: Right. He's following the law. And as technology improves -- so the president and the administration are doing their part. And you met -- you with the Congressman Cole is it lame? It was lame. It was pathetic. It was childish. Do your job. This -- I would say, first of all, politically, the notion that this is going to get done in 2015 as Ted Cruz and Rand Paul and Rubio are running around Iowa and South Carolina, there's no way it's going to get done. And if it doesn't get done this year, in 2016 on election night November, Colorado, New Mexico, maybe even Arizona, Nevada, Florida will all be blue. KARL: Do you think it's possible to do this in 2015? PLOUFFE: I think it's very hard. The energy in Iowa, South Carolina and Nevada, it's all going to be on the presidential. It's going to be the hard right Tea Party. I think it's much harder. I think this is the window. And by the way, the CBO, which is now the Republicans favorite organization in the entire world has pointed out it's the single easiest thing congress could do to help on the economy -- create jobs, growth, reduce the deficit. So the stars seem to be aligned. And here's the thing, Boehner could do this, he wouldn't have to ask a single member to cast a tough vote. There will be 180 plus Democrats for this, this is -- you know, 50, 60, 70, pick the number, get it done, heal your party broadly. Don't ask anybody to do a hard vote specifically. ELLISON: But they don't want to focus on health care. KARL: Yes. Well, but the CBO report, which showed that the equivalent of 2 million-plus workers coming out of the economy was a gift to you guys. COLE: Oh, I don't think so. Look, ObamaCare has been an issue from day one that has hurt Democrats and helped Republicans, costing the House; I think it ate into the president's reelection totals. It's hurting them now. Not going to go away because it's fundamentally a flawed, bad policy. And anything that discourages work -- and that's essentially what the CBO found, that this discourages some people from working, not a good thing at a time when the economy's still struggling. KARL: But the CBO report did not say that it was going to result in 2 million fewer jobs. COLE: Yes, what the CBO report does say is that we're going to lose 1-2 percent of hours worked because of this. And you know, you can argue that's a good thing. I've heard that argument, give some people some choices and I have no doubt in some cases it is. But you know, again, discouraging work is not something we need to be doing right now. Making our economy marginally less productive is not a good thing. And again, there's a -- it's not like this is the only flaw in ObamaCare. We've got a raft of them to talk about. ELLISON: What the Congressional Budget Office is saying is that we're going to discouraged kids having to have latchkeys. We're going to have parents being able to come home, working reasonable hours; people are going to be able to retire. People might be able to actually cook dinner rather than have to order out and get some takeout. I mean, the fact is, is that if Americans can have more choices to open up a new business they've been wanting to start, this is a good thing. You know, if you look at international comparisons country by country, Americans work way more than an average of industrialized countries around the world. ELLISON: Well, what about Germany and what about Denmark, what about -- I mean, the fact of the matter is we need a better work-life balance. Ask a working mother, OK, if she could use a few more hours in a day to take care of her family. That's what's really going on. KARL: -- the ads say 2 million fewer jobs is a lot easier than making this far more nuanced argument about job lock. PLOUFFE: Well, first of all, I highly doubt the first week in November 2014 voters who are undecided in a Senate or House race are going to be citing the CBO report. We blow these things up in Washington. I'd say this: you asked whether they want to keep the focus on ObamaCare? They're obsessed with it. Voters see through that. In 2012, health care hurt the Republicans. It -- we had the advantage on this. So the Republican strategy seems to be we think everything's great. We're going to play Four Corners; we're not going to do anything. Most Americans and almost every swing voter, they do not want to have another political fight about health care. They want it to be implemented and fixed. And the politics are different. KARL: I see her shaking her head. CUPP: The spin on this is incredible. And Congressman Cole is right. We have a lot of things to talk about in on ObamaCare. But on this particular issue, what has never been controversial in the past is the disincentivizing work is bad economically and culturally and socially. Economists have made it their project. CUPP: -- to develop welfare programs that disincentivize work the least because disincentivizing work has always been a bad idea. ZELENY: (INAUDIBLE) too complicated here a little bit. It can be broken down so easily. I went up to a couple, a few Democrats who were running in trouble, Mary Landrieu possibly, Senator Shaheen from New Hampshire, the look on their face when you ask them about the CBO report is a look of, you know, this validates those fears that are out there. So I think at the end of the day, it differs in the electorate. The 2010 electorate in the midterm, you know, was not -- was not friendly to Democrats. If Democrats are going to hold on in this midterm this year, they have to change the electorate. It's always been a problem in the midterm elections. PLOUFFE: -- here's what the CBO report said. It would reduce the deficit; it's going to reduce unemployment. It's going to help the economy and give workers more flexibility. And (INAUDIBLE) not that complicated. KARL: Let's move beyond CBO. I want to look at your own words from 2010, when you famously warned about nervous Democrats, the famous quote about bedwetting. Here we have no bedwetting. Instead, hearing what may happen, let's prove that we have more than just the brains to govern; let's prove that we have the guts to govern. But look at -- it's now. If you look at all these Democrats that are up in these tough, close races right now, there's a new series of polls in several of these states. Look at Obama's approval rating. In the races where the battle over the Senate will be waged, look, look at how many states; he's below 40 percent. Don't Democrats have a reason to maybe not be wetting their beds, but being nervous about this? Really, I mean, they had a reason to be nervous in 2010. They have a reason to be nervous now about the Senate. PLOUFFE: Well, 2010, obviously we had a terrible economy. That was first and foremost. Well, we had a tough election. We had a wave of elections in '06, '08 and '10. I think what -- and obviously we have tough Senate states. We have easier Senate states, by the way, in 2016. House districts, more normal in terms of the terrain. KARL: (INAUDIBLE) what are the chances you lose the Senate? KARL: (INAUDIBLE) chance that it happens this time? PLOUFFE: I think it's not very good, because I think we're going to have people; it's going to come down to individual campaigns in those states. The state of the economy. I do think the health care story improves a little bit. And the Republican brand is tarnished. It's not like voters in these states look at the Republican candidates, as ah, that's the magic elixir to make Washington work better and to grow the economy and have people who represent the middle class. So you -- both parties right now are on probation. I think we're going to have a lot of very, very close elections in both chambers. CUPP: You know, in 2012, Republicans were really, I think, in denial about the polls and about their weak position running into the presidential election. And I think Democrats really run the risk of doing the same thing this year. I hear the sales pitches about how hard it is going to be for Republicans. But I think what's telling is that you not only have vulnerable Democrats in red states disagreeing publicly with the president. You have safe Democrats feeling rebellious and coming out to disagree with the president. I think that -- those are realities that the president and Democrats really need to confirm. KARL: I want to quickly take a quick turn to 2016 and we hear about the Democrats. I want to talk about a Democrat whose name is not Hillary Clinton and we talked about this this week. Take a listen. JOE BIDEN, VICE PRESIDENT OF THE UNITED STATES: There may be reasons I don't run, but there's no obvious reason for me why I think I should not run. Doesn't mean I'm the only guy that can do it. But if no one else, I think, can, and I think I can, then I'd run. If I don't, I won't. KARL: So Joe Biden can't come up with a reason why he shouldn't run. You actually think he'd be a good candidate, I see? CUPP: I really do. And he's absolutely right. I mean, I think it's really remarkable that a sitting vice president for two terms and a former presidential candidate himself is kind of being ignored in this conversation for the most part. I mean, imagine if during the Clinton administration, Al Gore was the afterthought and everyone was talking about Madeleine Albright running for president. CUPP: That's exactly what's happening now. And, yes, I mean Democrats are bleeding old, white, blue-collar guys. And if anyone can reach that demographic, it's Joe Biden. OK, well, we had a -- on Hillary Clinton, a very interesting thing. There's a new book out, "HRC" by Jonathan Allen and Amie Parnes. Not a lot new in the book, but they did have this fascinating nugget. David Petraeus saying on the record that Hillary Clinton would make a tremendous president and giving her a pass on Benghazi. Look at this. "Like a lot of great leaders, her most impressive qualities were the most visible during tough times. In the wake of the Benghazi attacks, I thought she was extraordinarily resolute, determined and controlled." I mean, Tom Cole, if David Petraeus is giving Hillary Clinton a pass -- in fact, praising her for how she handled the Benghazi attacks, takes a little wind out of the sails. COLE: Oh, I don't think so. Look, it was a debacle. It was on her watch. She should have known security was not taken care of. She calls it herself, her greatest regret in her time as secretary of state. So I think it'll be an issue. Do I think it's going to be the deciding issue in the campaign? No. Look, I think Americans look at presidential candidates in particular in their totality. And Hillary Clinton has a long record. There's a lot of pluses in it; there's some minuses in it. KARL: Give us a last word, Congressman. ELLISON: The only thing that the Republicans are obsessed with ObamaCare more is with Benghazi. This is completely just a political game they're playing. Hillary Clinton, Joe Biden, they're all great candidates, far better than what our friends are going to put up. COLE: What a predictable comment. COLE: I'm for my team, too. KARL: All right. That is the last word and much more ahead, America's heroin addiction, it's so widespread that odds are you may actually know somebody who is addicted. Dr. Besser and our team of experts with what you should know about America's hidden crisis. But first, our powerhouse puzzler; today's question from THIS WEEK's production assistant, Kyle Blaine (ph), whose last day on the show is today. We'll miss you, Kyle (ph). Now let's see if you can stump us, and here it is. Which actor has played a U.S. president, real or fictional, four times? Back in just two minutes to see if our roundtable can guess the answer. KARL: So which actor played a president four times? Let's see if the roundtable guessed correctly. Let's start with Tom Cole. UNIDENTIFIED FEMALE: Oh, I also went Morgan Freeman. KARL: OK, the answer is, Martin Sheen. KARL: -- Jed Bartlett on "West Wing." MARTIN SHEEN, ACTOR: I'm the president of the United States, not the president of the people who agree with me. And by the way, if the left has a problem with that, they should vote for somebody else. KARL: All right, now Sheen seemed to like hanging out at the White House. Besides playing the commander-in-chief four times, he was also in "The American President" with Michael Douglas as the chief of staff. And don't go anywhere, coming up -- America's hidden heroin crisis, affecting every neighborhood, maybe even yours. Martha is back with Dr. Besser and our panel of experts. RADDATZ: Family and friends gathering for Philip Seymour Hoffman's Friday. The actor's sudden death last week turning a spotlight on what one governor has called a full-blown heroin crisis. Our experts weigh in shortly. First, our Dr. Richard Besser. DR. RICHARD BESSER, ABC NEWS CORRESPONDENT (voice-over): An Oscar winner dead, with a syringe in his arm, after 23 years of sobriety. JEFF DEENEY, SOCIAL WORKER: It says to me that, you know, I'm not invincible, even though I've been clean and sober for 10 years. BESSER: Once a college student trying to score heroin on the Philadelphia streets. DEENEY: This is a hot, hot corner here. BESSER: Jeff Deeney is now a social worker helping others get clean. (on camera): There's needles -- needles everywhere. DEENEY: The ground is just completely carpeted with used syringes. You know, there's heroin bags, glassine envelopes, like it comes packaged in Philly. DEENEY: Yes, a little brand stamp. BESSER (voice-over): Between 2007 and 2012, the number of heroin users just about doubled, to 669,000. Heroin, a narcotic, in effect, rewires the brain, suppressing all other instincts, slowing down an addict's nervous system. And too high a dose? UNIDENTIFIED FEMALE: Your brain, essentially, doesn't remember to breathe. So these people can stop breathing. And that's actually the most common cause of death. BESSER: In 2011, there were more than 250,000 ER visits related to heroin use. And there's a new path into addiction. Four out of five new addicts turn to heroin after starting on prescription pain pills, narcotics like OxyContin. BESSER (on camera): So that progression from pills, from OxyContin to heroin, that's not unusual? DEENEY: Oh, it's a -- it's absolutely not unusual. BESSER (voice-over): Cheap, coming in mostly from Mexico, heroin has spread beyond city slums. Governor Peter Shumlin has seen Vermont's heroin deaths double in just the past year. GOV. PETER SHUMLIN (D), VERMONT: What started as an OxyContin and prescription drug addiction problem in Vermont has now grown into a full-blown heroin crisis. BESSER (on camera): You can buy heroin on the streets of New York for less than a six pack of beer? UNIDENTIFIED FEMALE: It used to be that bags of heroin were called dime bags. They would cost $10. Uh, but now we see dime bags going for $6, $7. BESSER: Six dollars for heroin? BESSER (voice-over): Last week, a victory for the DEA and New York City's special narcotics prosecutor, Bridget Brennan. Police dismantling a heroin mill in the Bronx and seizing more than $8 million worth of drugs. This is one of 13 kilos of heroin, each packed in chili powder to avoid detection from drug-sniffing dogs. One brick holds about 30,000 doses. UNIDENTIFIED FEMALE: What I've seen if there's a big supply of drugs out there, people are going to use them. We've seen it with heroin. We saw it with the prescription pills. BESSER: In America, nearly 24 million people are addicted to alcohol or drugs. Yet only one in 10 will choose treatment. (on camera): What could she have done to get you into recovery? DEENEY: At that point, there wasn't anything that she could do. DEENEY: I wanted to use. I was 19. You know, I -- I wanted to get high. That's what I wanted to do. RADDATZ: Let's dig into this with our experts. Rich is here with us, along with Vermont Governor Peter Shumlin and Seth Mnookin, a journalist who's battled heroin addiction and written so powerfully about it, Seth. And I want to start with you. We all look at those images of -- of Rich down on those railroad tracks with syringes. It's not the image I would get of you. You -- you had a perfectly wonderful upbringing. You went to Harvard. Tell us about how you make that leap. How do you decide to use heroin? MNOOKIN: Alcohol, anything I could get my hands on. MNOOKIN: I think for me, a big thing was that I knew that it was addicted to drugs. It didn't have the stigma for whatever reason I think partially because I had been able to cope for so much of my life. I had graduated from college. So all of the consequences that I had been warned of didn't seem like they applied somehow. RADDATZ: Governor Shumlin, you are in one of the most rural states in the country, again. You just don't think about a lot of heroin users. I want to read these figures. We heard some of them in Rich's piece. Vermont is in the top 10 states for abuse of pain killers and prescription drug abuse. $2 million worth of heroin is trafficked in Vermont every week. People treated for heroin increased nearly 800 percent since 2000. What segment of your population is using drugs. You clearly saw this as a crisis. SHUMLIN: Well, you know I think here's the point. I mean, Vermont has one of the best qualities of life in the country. And Vermont is no different than the other states. I think a difference is that we've got a governor and a law enforcement, the community is willing to address it. And really, the question for us is, you know, not so much why it's happening, but how do we deal with what's happening. And the challenge with this disease, and it is a disease, is that nobody wants to talk about it. And nobody wants to change the way we're doing business. RADDATZ: And nobody knows how it's changed. SHUMLIN: And nobody know how it's changed. And you know let's be honest about this, OxyContin and the other opiates that are now prescribed, approved by the FDA, lead folks to opiate addiction. Now in Vermont in much of the country, OxyContin on the street is more expensive than heroin. So folks move from FDA approved drugs to heroin. And then it's a lifelong battle, a lifelong addiction. And the question for us all is how do we deal with this better so that we reduce crime and get these folks back into productive lives. RADDATZ: Rich, I want to go to you about that lifelong addiction. There's the notion that no matter how long you're so sober, and you know this well, Seth, that you can go back. Russell Brand, the British comedian and recovering heroin addict said this, this week, "there is a predominate voice in the mind of an addict that supersedes all reason and that voice wants you dead. This voice is the unrelenting echo of an unfulfillable void." Once you start using, what happens to the brain? BESSER: As we discussed in that piece, there's a rewiring of the brain. You know, you have these chemicals in your brain that make changes. And one of the lessons that comes from Philip Seymour Hoffman's death is that it is a lifelong problem. And everyone I talked to is an addict, or was an addict, say that they are always a recovering addict, not that it's something in their past they never have to worry about. RADDATZ: I just want all of you quickly in about 30 seconds to say what -- you've got a governor here, what has to happen now? BESSER: Yeah, you know, I think there are three things: prevention, treatment and risk reduction. You have to control those pills, you have to keep the drug out of the country. For treatment, I know you're focused on this in Vermont, making sure those waiting lists go away so people can get care. And the Affordable Care Act helps with that. And then risk reduction, making sure addicts can stay alive so they can get to treatment. RADDATZ: You still hear that voice, don't you? MNOOKIN: Well, I do. And it's something that I need to be conscious of, but if someone has diabetes or if someone has high blood pressure, no one would be surprised if then that acts up on them later on in life, because those are chronic diseases and people have relapses. Drug addiction and alcoholism is something that you need to keep constant watch on to make sure that you can stay in recovery. RADDATZ: Governor, we have about 10 seconds. Just tell me what's next. SHUMLIN: We have got to stop thinking we can solve this with law enforcement alone and treat as a disease just like any other disease. And, you know, when you think about it, if folks smoke cigarettes they get cancer, we feel compassion. This is no different. And we've got to move a judicial system and a health care system to a system where we're treating this as a disease. RADDATZ: Thank you very much, all of you. We'll be right back after this. RADDATZ: Our Sunday spotlight shining on a woman who was once an unwed teenager forced by Catholic nuns to give up her baby for adoption. And this week, she got a chance to share her story with Pope Francis. Nightline anchor Cynthia McFadden was there. CYNTHIA MCFADDEN, NIGHTLINE: Few can make an entrance like the pope. And this pope, Francis, has particular appeal. His every word scrutinized for what it might mean to the world's more than 1 billion Catholics. But this week at the Vatican, an image more powerful than words. UNIDENTIFIED FEMALE: I am very honored to meet you. UNIDENTIFIED FEMALE: Hello, father, it's a pleasure to meet you. MCFADDEN: We were there for this incredible moment in history. Philomena's story now an Oscar nominated film. UNIDENTIFIED FEMALE: I kept what happened to me buried away for 50 years. UNIDENTIFIED FEMALE: Did you take your knickers down? PHILOMENA LEE, FORCED TO ADOPT BABY BY CATHOLIC CHURCH: I was frightened out of my life when she said you're going to have a baby. MCFADDEN: You literally didn't know how you were going to deliver the baby. And it was a very bad birth. It was a breach birth. UNIDENTIFIED FEMALE: Don't let them put my baby in the ground. LEE: And I thought I was going to die. UNIDENTIFIED FEMALE: After you had had your baby, you had to stay in the abbey for four years in order to repay the sisters for taking you in? MCFADDEN: Was that a miserable job? LEE: It was just -- but then we just got on with it, because I thought well, we've committed a sin, having a baby out of wedlock as we were told. MCFADDEN: There are an estimated 60,000 women in Ireland who had babies under such circumstances over the past 60 or so years, forced to give them up, many to U.S. families, often for a price. One day, without warning, her 3-year old son Anthony was taken away to America. UNIDENTIFIED FEMALE: I did not abandon my child. MCFADDEN: Like thousands of other mothers and sons, Philomena and her son tried to find one another, but the nuns refused to help. To this day, adoption records in Ireland still remain largely closed. All of which makes what happened at the Vatican this week even more amazing. The Vatican arranged a highly unusual screening of the movie. And the pope sent one of his top personal aides. Is your presence here today a signal from the church, from the pope? UNIDENTIFIED MALE: Of course. The pope, he knows that I am here. MCFADDEN: Do you see the pope intervening in some way to make the records available? MCFADDEN: You do think so. Also at the screening, a high ranking bishop, friends with the archbishop of Dublin. Maybe you all have to make some phone calls. What do you think? UNIDENTIFIED MALE: I can call. MCFADDEN: Dramatic statements in a place where nothing is said by accident. For This Week, Cynthia McFadden, ABC News, Vatican City. RADDATZ: All right, thanks to Cynthia. And some welcome news, no deaths of service members in Afghanistan this week. That's all for us today, thanks for sharing part of your Sunday with us. Check out World News with David Muir tonight. And have a great day.